Have you worked with a brand? 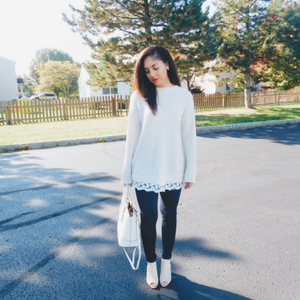 Is the ultimate goal to pair up with your favorite shoe or makeup brand? I feel like that’s a goal of many bloggers and influencers. Let’s be real, sponsored posts and partnerships are happening. Brands are looking for influencers to speak to their audiences so that it can appear more authentic and transparent. 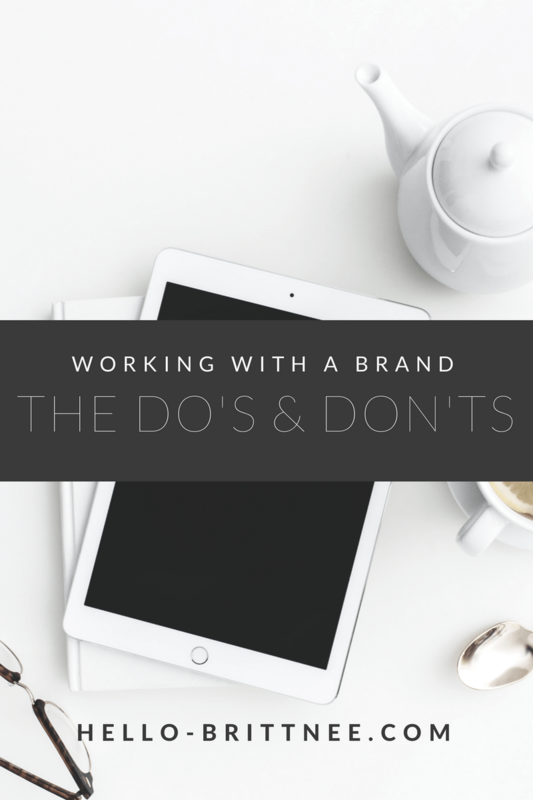 Working with a brand is not easy work — you can’t slack off and you need to stick to a schedule while representing that brand in the right way. I’m coming to you as a blogger that has worked with brands and a person who works in social media for a brand and communicated with influencers. If you want this brand relationship to be successful, you will need to consider the things that go on like planning content and getting the correct details. Brands are looking for influencers that are going to represent their brand well and can engage their influencer audience to be a fan of the brand. There is a lot going on within these relationships and most people things it’s just snapping a picture or writing a short review, but it’s not. Brands want you to tell a story with your content and engage the audience and push their curiosity. It’s important to cover all the bases. You need to ask any and all questions that you have so that you can complete your post to a level of 200%. You want to go above and beyond so that the relationship can go further and the representatives will want to come back and work with you. Ask the requirements like post length, if it’s a series or when it should be posted, and anything else that you can think of that applies to the subject. Cover all of your bases so you can complete your tasks and show the brand that they reached out to the right person. You just need to ask all the questions you can think of — trust me, it’ll be appreciated that you are genuinely interested in the project. After working with a handful of influencers across multiple brands in different streams, my number one piece of advice? Do not forget to post. The brand should not have to reach out to you about your post or send you a reminder. With your contract, you agreed to certain guidelines like posting on a select day and what your post is going to focus on. It leaves a bad taste in my mouth to think of the people that forget to send out their content. 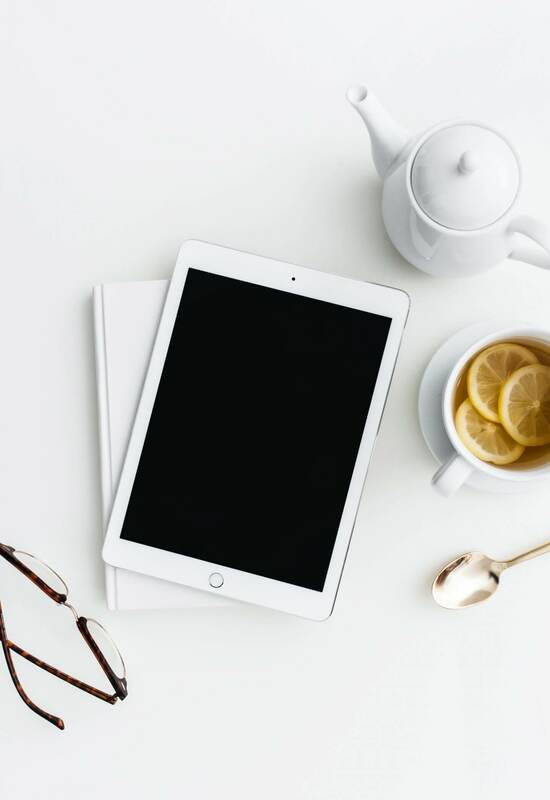 If you’re a full-time blogger/influencer, you should have a content calendar and the post should be worked on in advance for the brand’s deadlines. Don’t be that person, don’t lose the trust. Don’t go ghost on your representative and keep in contact with them so they can know what’s going on. It’s always best to email and let your rep know if you can or can’t commit to a day so you can work together to move things around. Not only should you keep in contact but you should send your content in advance so that you can get the correct approval on your image. I’ve worked with accounts where other brands were included in a flat lay and that brand stood out more than our brand — with this preview, we could go back and ask that the influencer reshoot the image and focus on our product. That is another thing that will be greatly appreciated. The brand loves to be in the loop and to give insight. Take advantage of that relationship when it comes to your content but don’t overstep once the series is over. The worst thing that you can do is commit to something that you can’t accomplish. Don’t agree to a blog series or a vlog when you know that you won’t be able to get it done. It’s okay to just write the sponsored post or do an Instagram series. You don’t have to hit all levels of content because there is only so much you can do. Factor in other brands and it’s a lot. Don’t overwork yourself and overpromise on things that you might not be able to complete. There are many influencers out there so trust and believe that a brand is going to be okay with certain types of content as long as it can be guaranteed. The best thing that you can do is plan ahead. Usually, you’ll be given a deadline and you should be able to work with that. There is nothing worse than being behind schedule and having to shuffle around to put things together is not fun. When you’re talking to your rep, ask for deadlines and when they would like to see the post go live so you can collaborate on a date that works for the both of you. A content calendar will be your best friend and keep you on track. Plan ahead, make lists and don’t overwhelm yourself. You won’t regret taking a step ahead of the curve and having the post planned, curated, and ready to be reviewed by the brand before sending it out. You will want to disclose so that no one gets in trouble with the FTC. You are legally bound to disclosing your relationship and if you received product for free or if you were paid for your review, essentially. If you don’t disclose, it is going to seem sneaky to other people especially if other bloggers or influencers notice and call you out. And yes, other bloggers or influencers will point it out to you because if you’re misusing the affiliate relationship, it could ruin it for everyone else. It’s a requirement, do not forget it. You can get yourself or the brand in trouble and no one wants that to happen. Do you feel you can work with a brand successfully? Hopefully, you found some insight within this post and can find a way to pitch yourself and build a relationship with a brand. Remember that there are tons of brands out there — you can build relationships with local and national brands, just make sure that you go about it the right way and be professional. Focus on making evergreen content that relates to the brand and make sure that the post is shareable so that you can promote the heck out of it and have other people share it for you. Also, always keep your audience in mind when you are working with a brand and tie in how you talk to them with your content. I’m always learning along with you so make sure you share what you know and would want other people to know. Did you find this post helpful? Make sure to share it with other people that would love to work with brands. It’s so easy to disclose but so many people still don’t. It’s a shame and like you said, could ruin it for anyone else. Loved this article! Definitely something I’ll be keeping in mind since I’m new to the blogging game 🙂 Thanks for sharing! Awesome article! Thanks for sharing your insight on how to work with brands. I am still figuring out how to best work with brands and getting sponsored content. I really want to make an income from my blog and Youtube channel. Do you have any advice for a new blogger starting out? This is such a helpful and informative post – thanks so much for sharing! Woot, you got this! Pitch yourself and make them want to work with you. I’m glad you found it helpful! On my end, we have put together influencer contracts but if there is no contract in place, ask all the questions you can so you have some terms! Being on time and disclosing are always the best route!